The event you’ve been waiting for is back! The Skyvan will be returning August 23rd-25th, 2019. This aircraft holds up to 22 jumpers. You’ll be jumping from over 2.5 miles above the ground (approximately 3,000ft higher than our normal exit altitude). This is the perfect event for large groups. Don’t worry, if you’re the daredevil of your group of friends you can jump without a group too. Bring friends and family along to watch the show. Would you like to learn more about the WNY Skydiving Boogie and the Long Tradition that Precedes It? 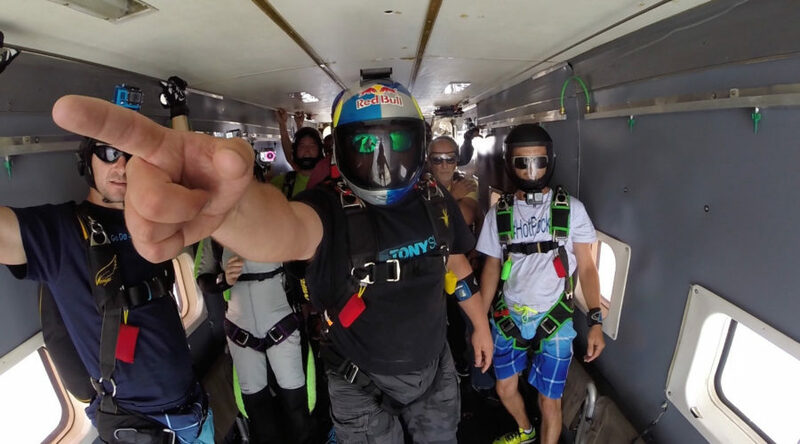 What is a Skydiving Boogie? AAD’s are required for all jumpers. Note that high-performance landings require a D license. Registration for Non-Jumpers: $75 / $50 if registered by August 1st! Registration is nonrefundable, dinner, parties and games are rain or shine. CAMPING: Tents and trailers welcome, no water/electric hookups available.